On a tour of Accra, you can experience the vivacious and dynamic atmosphere of Ghana's sprawling capital city, a commercial and tourist hub of the region. Explore the numerous day-trip ideas around Accra: Boabeng-Fiema Monkey Sanctuary (in Senya Beraku), West Hills Mall (in Weija) and Koforidua (Atewa Range & Umbrella Rock). There's lots more to do: try your luck at Millionaires Casino Accra, pause for some serene contemplation at Resurrection Presbyterian Church, view the masterpieces at Nubuke Foundation, and stop by Trashy Bags. Plan my Accra trip by asking Inpirock to come up with tips and suggestions. New York City, USA to Accra is an approximately 23-hour flight. Due to the time zone difference, you'll lose 5 hours traveling from New York City to Accra. In August, plan for daily highs up to 83°F, and evening lows to 74°F. Wrap up your sightseeing on the 29th (Thu) early enough to travel to Boston. Explore Boston's surroundings by going to Salem (The House of the Seven Gables, Stickworks Statue - What the Birds Know - by Patrick Dougherty, & more), Plymouth (Plimoth Plantation, National Monument to the Forefathers, & more) and Sandwich (Old King's Hwy, Heritage Museums & Gardens, & more). 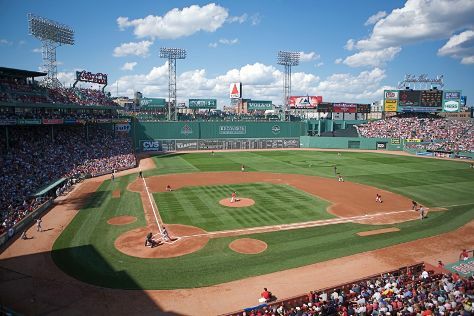 Next up on the itinerary: explore and take pictures at Fenway Park, explore the world behind art at Museum of Fine Arts, examine the collection at John F. Kennedy Presidential Museum & Library, and stroll through Corn Hill Beach. To see photos, ratings, where to stay, and tourist information, you can read our Boston holiday planner. Explore your travel options from Accra to Boston with the Route module. Due to the time zone difference, you'll gain 5 hours traveling from Accra to Boston. Traveling from Accra in August, Boston is little chillier at night with lows of 65°F. Finish your sightseeing early on the 12th (Thu) so you can travel back home.